Jobs at ThinkingKap Learning Solutions, Inc.
Do you have what it takes to join our awesome team? As you probably know, it takes a lot of work to create effective, meaningful training experiences. The best training experiences also aren’t created by a single person, but by a team of people playing to their strengths. We’re always striving to maximize the learning experience for our clients, and everyone at ThinkingKap plays an essential role in that vision. We’re a small team, and we plan to keep it that way! Everyone works remotely, but we believe strongly in cultivating a strong sense of team. From the president to the janitor (we don’t really have a janitor) everyone’s willing to jump in for the good of the project. We definitely work hard, but we always want to have fun doing it too. Our training embodies this spirit, and that’s what we’re looking for in new team members. 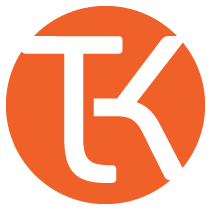 Current Jobs at ThinkingKap Learning Solutions, Inc.